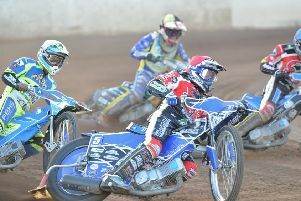 Peterborough Panthers’ return to the top-flight of British speedway will begin with a date against the reigning champions. The city club kick off their SGB Premiership challenge by hosting 2018 winners Poole Pirates at the East of England Arena on April 15. The 2019 campaign actually gets underway a fortnight earlier with Panthers’ opening four fixtures being in the new SGB Premiership Supporters Cup. The curtain goes up on April 1 with a home date against Belle Vue ahead of a return trip to Manchester on April 4. They also face Wolverhampton away (April 8) and home (April 11) in the group stage of that competition before the focus shifts to the league. The club’s home meetings are split between Mondays and Thursdays – the two days assigned for top-flight fixtures in this country. The seven clubs in the SGB Premiership face each other twice at home and twice away with the top four advancing to the play-offs. Panthers have been caught up in controversy in recent days following the sacking of former Grand Prix star Chris Harris. He was dropped from the line-up for ‘cost measures’ following the completion of the sale of Panthers from Ged Rathbone to Keith Chapman. British Speedway Promoters’ Association (BSPA) chairman Chapman owns three of the seven top-flight clubs and Harris subsequently moved to another of them – Ipswich. 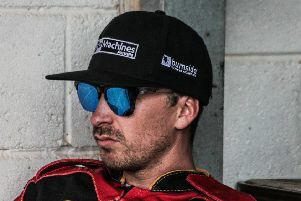 Panthers will announce his replacement in their side later this week while it is understood the futures of Rathbone and co-promoter Neil Watson are in the balance. Rathbone and team manager Carl Johnson have refused to comment on the Harris situation while owner Chapman is currently overseas. But the Peterborough Telegraph have been promised a no-holds-barred interview with him upon his return to the UK next month. Key: PSC denotes SGB Premiership Supporters Cup. All other fixture are SGB Premiership.